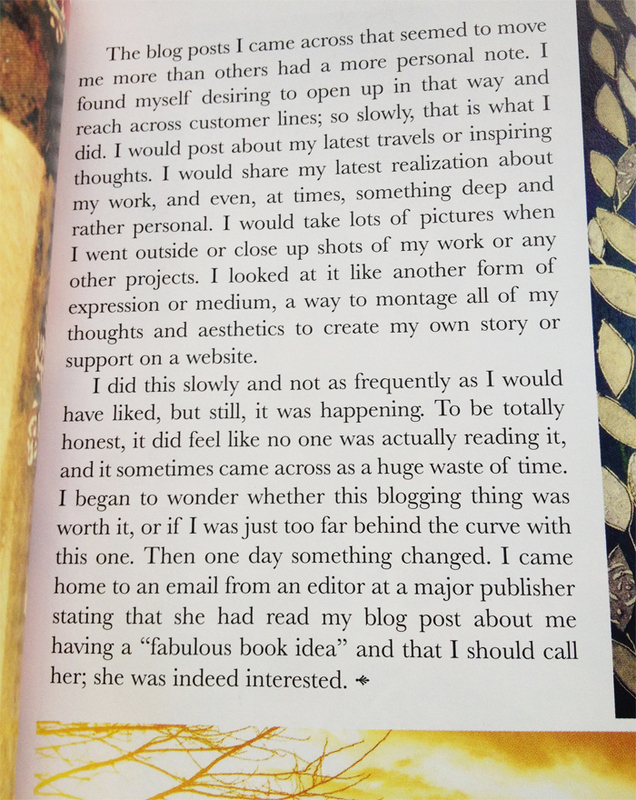 Several people from my overseas Instagram account asked me to post on my blog this recent article I wrote for Somerset Life magazine on how blogging changed my life. Here it is in pictures, which I hope you can read. Basically the gist of it is that what you put out to the world through thought, action, and word, is incredibly powerful. Those actions get reflected back to you somehow, as the Universe has to do something with that energy. So be mindful and speak your truth. Share out loud your dreams and see what comes of it. Be amazed, be humbled, be grateful. I know you are teaching right now but I wanted to ask you a question: Was it hard to keep your blog interesting reading? How much posting do you tell yourself is keeping it interesting for you, the blogger? I mean, how often should one blog? I have found some people stop blogging and do Pinterest instead. Why is that? My most favorite blogger to date has been Christie Tomlinson. But I think your article has made you my most 2nd favorite. This is very thoughtfully written and I enjoyed reading it very much. PS: To you have to make up your own Meda-tags in order to blog? Wonderful questions. To be honest, in the beginning, I was not blogging much. A few times a month maybe! I think the more you do it, the better obviously. I think people get weary of blogging because if you don’t feel like people are reading it then it grows tiresome. But the whole point of my article is that they are! And it is such a creative outlet — its healing and fulfilling when its done more frequently. I know nothing about creating my own tags– I do use words I find interesting. I am not sure if that matters. I am so glad you enjoyed this piece. I just loved reading this. Thank you for sharing!!! Great article and great writing. Thank you for this article.. 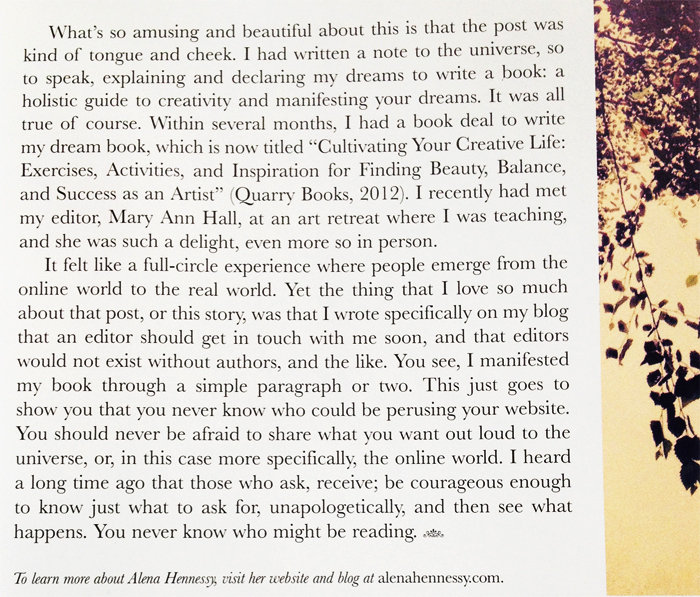 I relate to your words and it re-enforces me to continue writing my blog. Like you, I was feeling that no one or only a few friends are reading.. Which I like, as it is such a lovely way to stay in touch when living overseas. For me, the question ‘why am I writing this blog’ comes regularly. And I understand now that it is a significant point as I often tried to sabotage myself (“who do you think you are”).. Now when such question rises, I embrace it as a way of growth, to (re-) integrate my power, to say to the world, but most to myself, I AM… Amazing, beautiful, capable, powerful…worth it!! This blog is helping me to stay on my track I think.. I write about my thoughts and realizations, trust my inner processes… And it simply feels good. Anyway… I felt for sharing this with you this Sunday morning!! To re-connect to my power I should say (instead of re integrate)!! Gorgeousness! I love hearing all your little and bold and perfect as they are stories. It warms my heart. Thank you Alena! This is lovely.. I only recently found your blog and I am enjoying it so much! Sometimes we read too many blogs and don’t respond as we should to the bloggers to let them know we are truly out there. I am limiting myself a bit more, to spend more time absorbing what I read on the really special blogs and to also respond to the posts so the bloggers DO know we are out here! 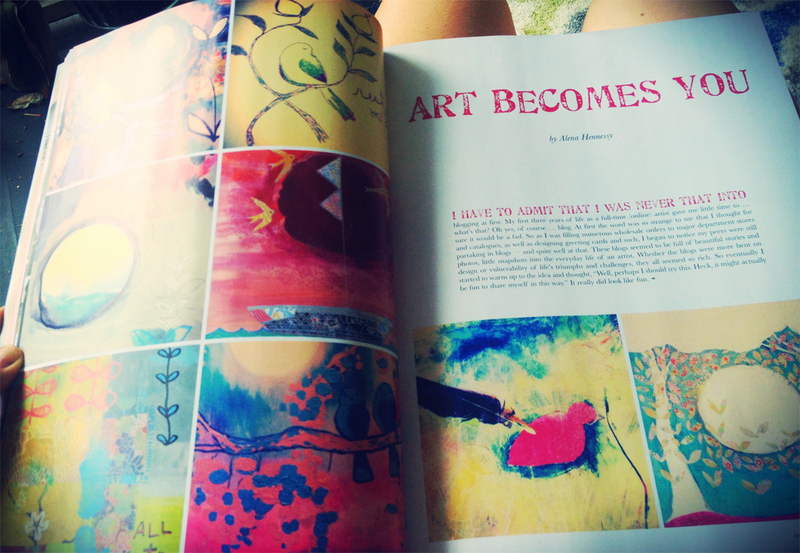 I want to let you know I ordered your book, it arrived this past week, and it is GORGEOUS and SOOOOO inspirational! I am certain I will take some time to work through the book and absorb all the goodness you put into writing it. Thanks for sharing your talent and gifts with us! Yay Maeve! I am so thrilled you love the book. Thank you for your kind words! Thank you so much for sharing: ask and it will be given. I never truly believed in it, until I started to live MY life and to follow MY dreams. Ever since then, lovely things are happening and it feels like the right persons and circumstances cross my path. Thank YOU for being an inspiration: can’t wait to buy the book you’re currently working on and embark on the ‘A Year of Painting’ adventure with you. Feeling so excited and grateful for our paths having crossed online. Although I sometimes crave for going back to basics without all this technology, I wouldn’t know how my creative life would look like without all these fantastic online connections and friendships. The virtual world holds so much potential. YES, yes, yes! It does! That is what I feel too. I am so thrilled you will be joining us for the online experience. Where in France do you live dear? I will be visiting next year and perhaps I can put together a workshop. Beautiful article. I found it very inspiring. What a coincedence that I am reading this article today, just as I have started posting a bit more often on my blog. I created it over 2 years ago, but never posted anything for all this time. This year I finally overcame my fear and put up my first post. I guess we all feel vulnerable when we put ourselves out into the world. But I have become to realise that only by showing up into the world and sharing our dreams and likes that we can attract to us that what we dream of and what we admire in others. This blog post has given me some more encouragement to keep blogging even though it seems like just another thing to do in an already busy day. Thank you for sharing your thoughts and experience on blogging.